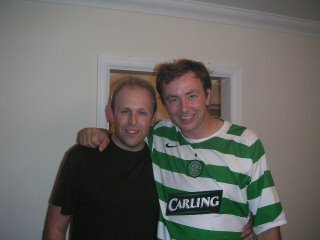 Meet My Hero Francis Dunnery. artist for 20 years. You've bought every CD, DVD, 'T' shirt etc. & travelled all over the country to watch the gigs. If someone said to you "one day, that band/singer/artist will come & play in your living room" you'd say they've lost the plot & tell them to get a life. Once upon a time (1986-1991) there was a band who had a top 5 hit with 'Calling all the heroes'. The bands name? - It Bites. The Lead Singer/Guitarist was a young Cumbrian called Francis Dunnery He hit the booze in a big way & quit the band in 1991. I was gutted. Absolutely gutted. It Bites continued with a new singer, new name, but it wasn't the same. A few years later, Francis got his life in order & has since created many a masterpeace of a 'solo' album. He also now has his own record label & has written for & produced many artists (Ian Brown, Santana, Lauren Hill, Marti Pellow, Chris Difford to name a few!). Back to the gig - Francis is currently touring the world via a series of 'House Concerts' - yep, he comes to your house & plays to your family & friends. Amazing. You can apply to host one via the website. I did just that & was offered the opportunity to host a house concert on 17th August, but had to decline due to my little house being unable to hold 35 + 'middle-age' people in one room. Damn. As luck would have it, a couple (Ian & Venessa) from a nearby town in Bursledon, Southampton also applied & were successful. The date - August 16th 2006. So i contacted them & got 2 tickets. The scene was set! Their house is beautiful & they were the perfect hosts for this kind of event. It was a truly amazing gig. A dream come true. - There were 30 other people all wanting a bit of Francis & his time, so felt it was best to 'Share him' around a bit! In fact i think V spoke to him more than me! Anyhow, i have given Francis my www.before40.co.uk 'business card' (how tacky is that!) & he has promised to pay the site a visit. So if your reading this Francis, thank-you very much for a truly amazing night. There will be a short video to follow from the night, and a more detailed write up on the site.